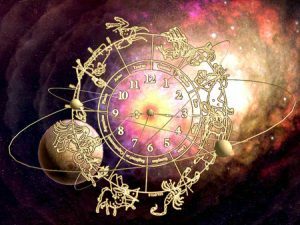 The intensity which you have been personally experiencing heightens in Jyotish, or Vedic astrology for August, 2016. Everything you have been putting your energy towards, as well as all that you have been avoiding, comes to a head this month. Saturn and Mars come together, Jupiter changes signs, and there’s a cluster of planets in Leo and Virgo. We also experience the unique phenomenon of five planetary wars this month. The month in Vedic astrology for August, 2016 begins with Venus joining Mercury, Jupiter, and North node Rahu in sidereal Leo. This brings a great deal of attention to whatever Leo represents in your chart. For Aquarius ascendants, they will feel the heat in the arena of relationships. Scorpio ascendants contend with conflicting desires and outcomes in their careers. The new Moon in Vedic astrology for August, 2016 is on the 2nd in the sign of Cancer. This is Shravana amavasya. Take this day to worship your ancestors and follow your inner guidance. The month of Shravana is dedicated to Lord Shiva. Indians practice many rituals for him this month, especially on Mondays. The Moon is new in its own sign of Cancer while in the deeply conflicted but resilient constellation of Ashlesha. Long-standing emotions are stirred up, but you are unsure of how to channel these overwhelming feelings. Read more about the new Moon on my Facebook page. Then, the Moon joins the planetary gathering in Leo from August 3 to 5, adding deep emotions to the desire for change, justice, and analytical understanding. On August 11, Jupiter leaves the sign of sidereal Leo after a one year residence and moves into Virgo. By this transit, the planet of wisdom has broken free of Rahu and Saturn’s influence. It is able to make better judgments and shed the ambition of being a free thinker at any cost. Globally, this can translate into the world being freed of false leaders who are completely self-motivated. But results will take some time to develop. Yet, Jupiter’s move makes Leo less stable as there is no one giving proper guidance regarding whatever Leo signifies for you. Saturn comes out of retrogression in Scorpio on August 13. However, its slow moving influence can cause you to powerfully feel its presence. Be careful the week before and after, as the security-seeking planet charts a new course towards safe shores. It doesn’t happen without obstacles on the path of what Scorpio signifies for you. The Sun returns home to Leo on August 16, shining its brilliance on all that Leo signifies for you. Intellectual activities come to the forefront for Aries and Leo ascendants. Scorpio ascendants have opportunities for career advancement. The full Moon in Vedic astrology for August, 2016 is on the 18th at approximately 5:30 AM Eastern time. This is Shravana Purnima. The Moon is full in Aquarius in the constellation of Dhanishta. 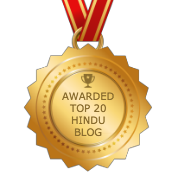 One of the symbols of Dhanishta is Shiva’s mrdanga or drum. 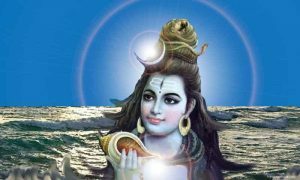 Take this day to chant to and worship Shiva. An eclipse-like pattern occurs, but there is not an actual eclipse. Read more about Shravana Purnima on my Facebook page. Mercury returns home to Virgo on August 19, where it joins Jupiter. Both planets signify communication and education. They engage in a planetary war (graha yuddha) from August 20 to 24th. It’s a battle over pursuing intellectual pursuits and analytical insights vs. the path of wise knowledge and spirituality. How will this impact your daily routines? Jupiter and Mercury re-engage in battle from August 30 to September 3. It’s the ultimate battle of the wills from August 22 to 26. Mars and Saturn are in an exact conjunction in Scorpio, creating a second planetary war. Wherever you reside, you have undoubtedly seen the political and racial divides, the strict adherence to agendas regardless of consequences, and unyielding fastidiousness to a course of action. These all come to a head. This is the week where you must be more careful than ever regarding your choices. It’s not the time for monumental decisions, but of contributing to an environment of peace and tranquility, regardless of what is happening around you. While this is happening, Venus moves into its sign of debilitation in Virgo on August 25. Debilitated planets have to work extra hard for what they want to achieve. It may be love, or perceiving the lack thereof. The next day, Venus and Jupiter commence another planetary war in Virgo for three days. Venus follows the path of desire, while Jupiter pursues the higher road. 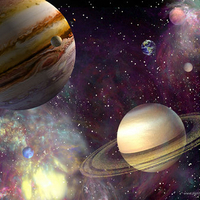 Concurrently, Mercury and Venus engage in their own war on August 28 and 29. Venus being debilitated and in two wars simultaneously takes its toll on the planet of love and luxury. If you are in a Venus cycle, you will feel yourself pulled in multiple directions, and unsure of which way to turn. 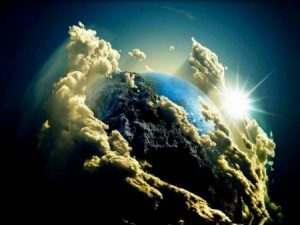 Vedic astrology for August, 2016 provides us the opportunity to make pivotal choices. How will you chart your course for the months and years to come? 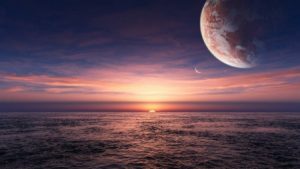 Understanding the planetary influences at play will make a marked impact on how you navigate the choppy astrological waters. 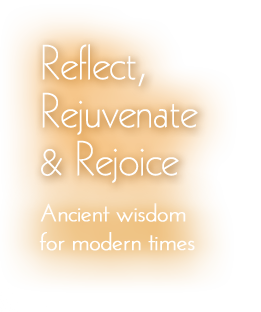 For greater insight into what to avoid and what to emphasize, please schedule a personalized Vedic astrology reading.